Excellent motel. Clean warm and everything you want from a motel. Large room. 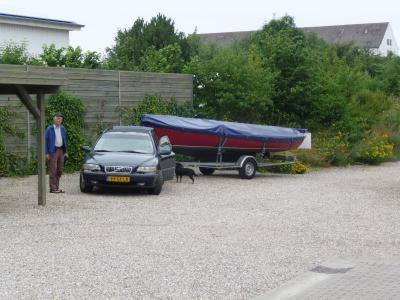 Easy parking. 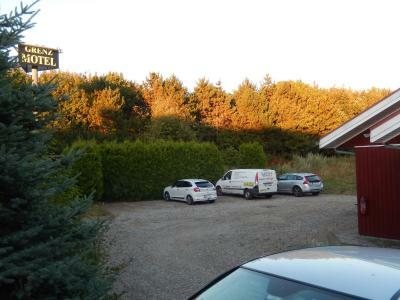 Good location when travelling back from Norway to Belgium for an overnight stop. 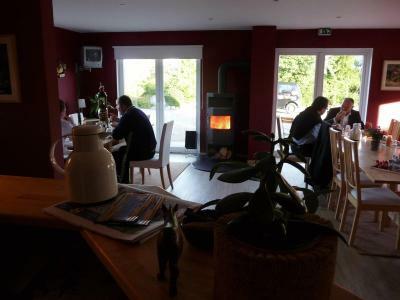 Although not meeting any staff everything was correctly arranged and in good order. Simple, clean, uncomplicated, just exactly what I needed for a really short stop on a long trip. Very close to the road and border but quiet. A good bed at the right place, nothing more, nothing less. 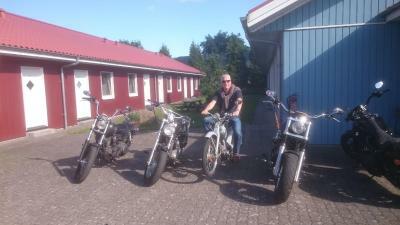 Wir haben im auf dem Weg nach Dänemark und haben im Grenzmotel einen Zwischenstopp für eine Nacht eingelegt. Sehr sauber alles, ich habe mich wohl gefühlt und gut geschlafen. Frühstück hatte ich dort nicht. 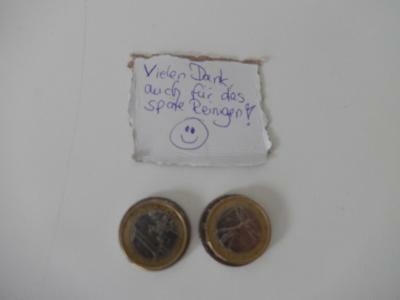 Aber ich werde dort sicher wieder buchen. 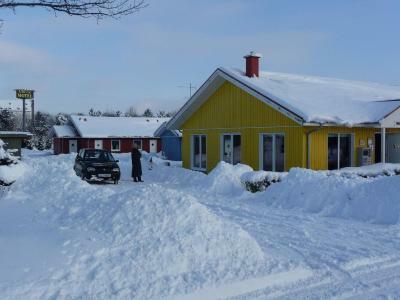 Bekvämt, lugn miljö, parkering nära rummet, enkel med in och utcheckning. mit 2 hunden nur 15 meter bis zum Zugang des Zimmers (schlüssel steckte schon)Auto gleich dabei um das Nötigste ins Zimmer zu holen, linoleumboden. Es war nicht viel Belegung, sonst wäre dieses Zimmer an Zimmer schlafen zu hellhörig. so wars schön ruhig! Grenzmotel This rating is a reflection of how the property compares to the industry standard when it comes to price, facilities and services available. It's based on a self-evaluation by the property. Use this rating to help choose your stay! 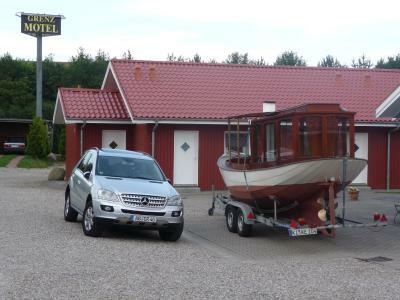 Just a 5-minute drive from central Flensburg and the Flensburg Harbor, this pet-friendly motel in Harrislee features cozy Scandinavian design and direct access to the Danish border and the Padborg industrial estate. 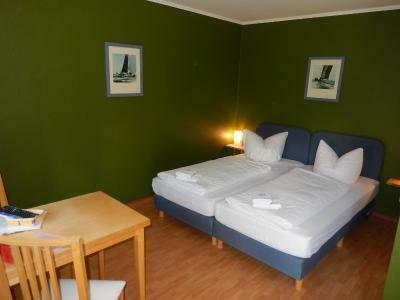 Built in 2001 and renovated in 2014, the Grenzmotel offers brightly furnished, level-access rooms which boast a spacious layout and modern private bathrooms. Free WiFi is also available and rooms include mosquito nets. 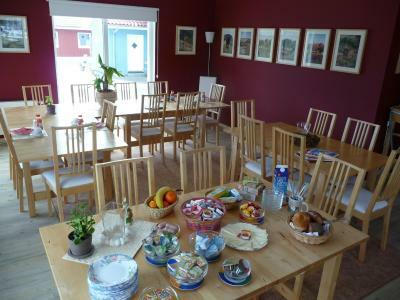 A rich breakfast buffet can be enjoyed in the communal lounge. Early risers can request a breakfast basket which is delivered straight to the room, while guests can also enjoy other breakfast options in the Grenzmotel's neighborhood. Parking spaces are located in the immediate vicinity of the rooms and shopping possibilities and restaurants are just a few minutes away. The Grenzmotel lies at the edge of the peaceful Stiftungsland Schäferhaus nature reserve. 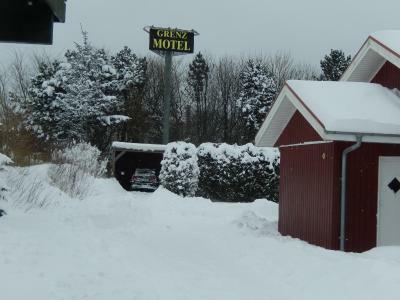 When would you like to stay at Grenzmotel? Features a Nordic design, private access to the garden and a selection of German and Danish TV channels. House Rules Grenzmotel takes special requests – add in the next step! 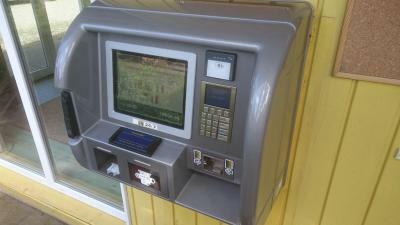 Grenzmotel accepts these cards and reserves the right to temporarily hold an amount prior to arrival. Contact details can be found in your confirmation email. 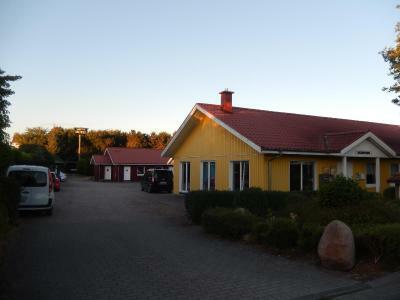 The reception is open from 08:00 until 13:00 and in the evening. After your booking, you will receive a separate e-mail from the Grenzmotel. This email contains important information about your booking. Information on the free WiFi access is displayed in the rooms in several languages. After logging in, guests are sent a text message (sms) on their mobile telephone in order to access the internet. Guests from abroad should note that this also activates roaming, as this is the only way to send a text message (sms) to a foreign mobile telephone. A bit expensive for what you get. Reception closed, owner could not be reached by phone. They charge double price for a single room. DO NOT BOOK AT THIS MOTEL! Nothing really. Property was more or less as we expected it to be. No large towels were provided for showering. Just 2 small handtowels each! No one on reception, so this could not be rectified. No Wi-Fi reception at the room. No interaction with staff: did not see anybody during the entire stay. Only small towels provided. No soap or shampoo in the shower (not sure if this was mentioned in the information on booking, just saying). It is Germany, so do not expect too much from the cable/TV (if you like to see something else than German TV).